Good morning! I was due to take back the reins from Mr. KK today and resume “Notes from Sherringham” plus new ones from “Dunraven Castle.” These are an “author confidential” of sorts, offering behind-the-scenes glimpses into the creation of SHADES OF THE PAST and A SLIP IN TIME. Following up on July 19 post for the Scottish dessert, Cranachan, oats seemed a good topic. Lord Muir has a staunch opinion on how to properly eat one’s oatmeal, and then there is Cook’s penchant for sending the hunting parties out with cold porridge bars in their pockets for lunch. 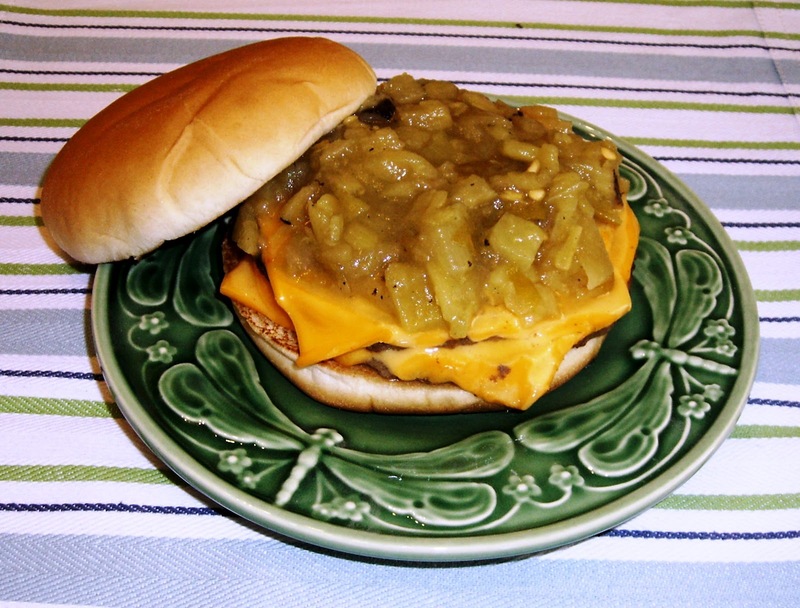 Instead, I find myself fixated on Green Chile Cheeseburgers today ― a much spicier alternative and not at all Scottish. Allow me to explain. Recently, as I was working on the revisions for A SLIP IN TIME, significant health issues arose in our family. Mr. KK gallantly stepped in and took over the blog posts to free my time. “Notes from Sherringham” gave way to “Cover art Mondays” and other technical articles for Indie publishing. I hope you enjoyed them. With TIME now released and the worst of the storm passed (hopefully) on the health issues, Mr. KK and I set off on a road trip to see family up north. While traveling through New Mexico we discovered a new culinary delight at McDonalds no less ― Green Chile Double Cheeseburgers! We became instantly enamored and on our return home last night set out to learn how to duplicate them. 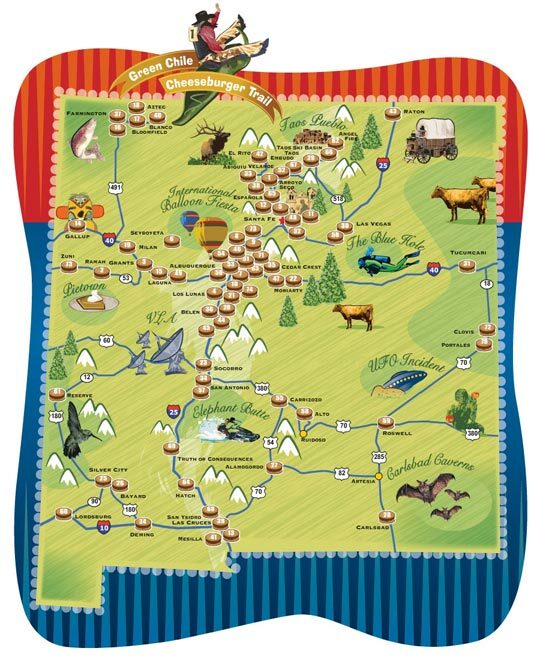 To our surprise we learned that Green Chile Cheeseburgers have been a New Mexican specialty dating back to 1945, and that the state’s Department of Tourism even offers a map and restaurant locations to find them. Many are along old Rt. 66. Next trip through New Mexico, Mr. KK and I will set forth with map in hand and sample variations of this famous burger from border to border. This is soul satisfying food, my friends, fit for the Muse. Now, as I nudge hubby off to the side of the blog with thanks in my heart and the reward of a Green Chile Cheeseburger in hand, I’ll take back the reins here. So what is ahead? Looking ahead to the holidays, I’m considering offering “Special Editions” of SHADES and TIME, each with the extended “Notes” material included at the back. Book club questions are another possibility to include, or to add to the website. What do you think? I would love to have your input as these efforts are for your enjoyment. Meanwhile, if you enjoy green chilies or are adventuresome, here are some videos and sources on New Mexico’s famous state burger and Mr. KK’s tips for making your own. Mr. KK’S TIPS: Roasted green chilies are available at the grocers in cans, chopped or whole. It appears the chopped version is the popular choice for this burger but whole works too. These chilies are mildly spicy, so fear not. (These are NOT jalpeños, which would be a different story entirely!) Warm your green chilies or at very least have them at room temperature. Use an ample amount, placing them either directly on the burger (at the end of cooking is fine) and adding the cheese on top, or placing them on top of the finished cheeseburger (cheese under the chilies). The cheese and chilies will melt to a delicious, gooey mess. Enjoy. Hello and welcome back ! Thanks for that "exotic" recipe, I think my hubby will love this cheeseburger very much, we'll see ! Looks delish. And interesting that it's been around since 1945. Food really is so very regional. Anyhoo, I must try! We're so glad to be off the road and are still recovering. Doggies too. The green chilies perked us up. Even bought a McDonald's double cheeseburger yesterday, added chilies on top and reheated. Yep, that's the picture above. We devoured them after the photo session (there were three!). Saw a "Green Chile Mac and Cheese" here in the supermarket, using Monterey Jack, I think. Yumo again. Must try. Now that I'm revived a pot with java, I'm pondering the "Special Editions" concept. Thanks for your comments. Hopefully, there are some great photos out there to go with the material. Will start poking around today. May take another chile cheeseburger - or a trip to our organic French bakery, Frogs, for something delectible to see me through . Oh, don't my hips know it, ha, ha! Thank you, BT! - for the fantastic review and also for posting on both sites. Love 'Confessions from Romaholics' and am spreading the word on my loops. Sending virtual Napoleons, vanilla or chocolate - your choice - and these won't go to the waist or hips, ha, ha! Next time you drive through New Mexico, you've got to stop in Hatch. They are FAMOUS for their Green Chile Cheeseburgers. Oh my, I didn't know that. We just took the shortcut right through Hatch this past Sunday to catch I-10 in Deming but didn't stop. We're considering going back to Hatch for the chile festival but probably would stay in Truth-or-Consequences. That's where we discovered the green-chile double cheeseburger at the McDonalds. They also have a good steak house - or did. Shannon, can you recommend a eatery in Hatch for the burgers?